Paper Surveys: Alive and Well! 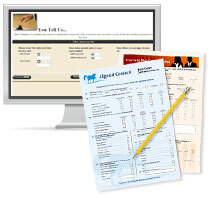 Paper Surveys may seem like a thing of the past, but they are certainly alive and well. Consider survey software that allows you to conduct all modes of survey research to increase response rates. S nap Surveys customers choose Snap Survey Software because it gives users the flexibility to run surveys in a range of survey modes, including: paper, paper for scanning, online, mobile, tablet, and kiosk. Depending upon your audience and administration limitations, paper surveys can prove more effective than online surveys for collecting feedback. This webinar is part of our Snap Summer Camp 2013 series, a series of free webinars taking place between June 19th and September 12th, 2013. Previous viewers of our Summer Camp webinar Designing effective online surveys have asked us to cover both paper surveys and mobile surveys, as well as online surveys. One of Snap Survey Software’s many strengths is how easy it is to set up the same questionnaire for different modes of survey research: paper, online, and mobile. This enables you to engage with respondents in the way they prefer to complete questionnaires, helping to increase response rates. Why Use Multi-Mode Surveys for Data Collection? Your survey research project may require a combination of various data collection methods. A mixed methodology approach to data collection can assist in maximizing your survey response rate or to communicate with hard-to-reach respondents.